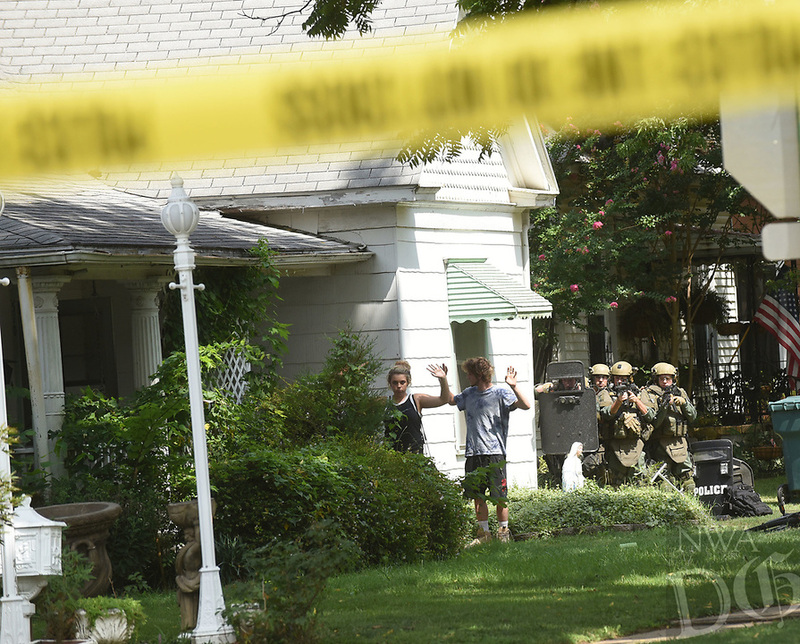 A woman and man emerge Wednesday Aug. 8 2018 from a home near Third and Persimmon streets in Rogers as police stand by. A standoff lasted approximately three hours as officers attempted to serve a warrant on a suspect who then barricated himself in the house. All occupants eventually surrended peacefully.